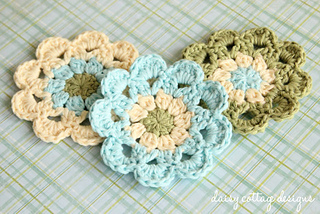 This beautiful flower motif is perfect for spring and summer. 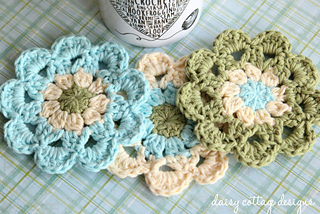 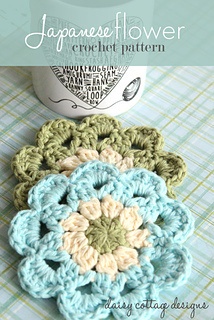 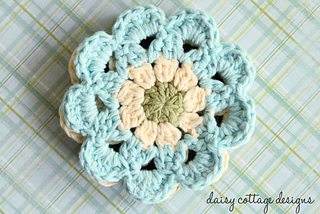 Whip a few up to use as coasters or join them as you go to create a dreamy scarf or summery afghan. 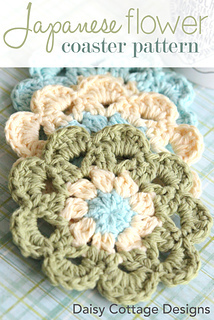 These are simple to make after you get the hang of them and you will love how quick they are.